Europe is a place rich in scenery and history. In fact, Europe is a place rich in Christian history. Unfortunately, that Christian history is all but forgotten by Europeans. With 800 million people in Europe, it is estimated that 99% are lost without Christ. 99% lost! That reality might strike you as surprisingly as it did me. 99% lost! Back in March Eric Allen, Larry Brannin, and I went on a vision journey to Europe in order to prayerfully consider how we might effectively mobilize Kentucky Baptists for gospel advancement among the European Affinity. How could it be that the region of the world that once sent the gospel to the nations is need of churches to send the gospel to them? 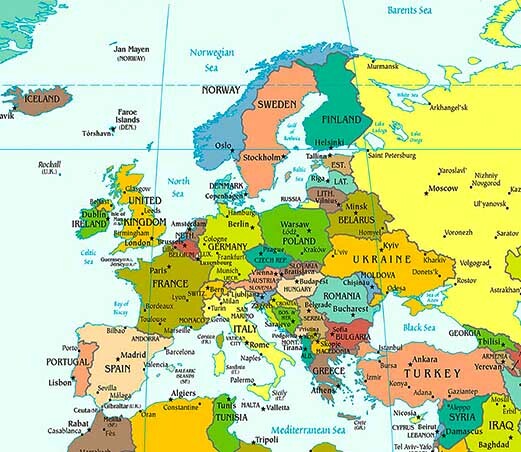 Of the 800 million people in Europe, there are 1,000 people groups. 900 of those people groups are unreached with the gospel. We have 600 workers who are currently engaging Europeans in Canada, Brazil, Australia, and Europe. Money alone is not the answer. We are in need of man power…of boots on the ground. Our IMB workers in Europe are calling on us as Kentucky Baptists to come alongside of them in order to multiply our impact for the gospel among Europeans. Along with our European IMB personnel, we are asking you to prayerfully consider a strategy to embrace and reach Europe. We’re looking for a multi-year, multi-team approach. In other words, we need churches and associations who will commit to embrace and reach Europeans with the gospel for 3 to 5 years, and send multiple teams a year in order to impact and saturate those areas with the gospel. These partnerships will be among local churches and associations with that particular European people group. We can help connect you to missionaries who are eager to help you multiple your lives for gospel impact in Europe. Kentucky Baptists, the obligation before us is clear. Europe needs the gospel! Will we be obedient to our obligation to take the gospel to Europe? The task is too great for only a handful of people to accomplish. We need every church and every association mobilized in order to reach Europeans for Christ. In fact, we need every church and every association mobilized to reach the world for Christ. Your Kentucky Baptist Convention is here to help you do just that because we were created by churches, for churches, to help churches reach Kentucky and the world for Christ. So…will you join us in embracing and reaching Europe with the gospel? ← Is Your Church Ready?